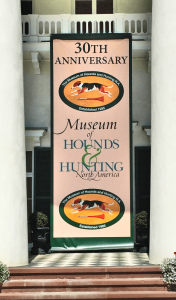 We create banners with grommets for hanging indoors or out, with wind slits when needed, in full color – FAST! Banners provide powerful impact at an affordable price. Used indoors and out for both temporary and long-term projects, vinyl banners are used by non-profits, retail businesses, and wholesale industries. A banner is also a regular player for almost every special event, trade show, temporary announcement, church function, golf outing, charity fund-raiser and a host of other promotional activities. Stand-up banners use a variety of portable, lightweight structural supports to create an attractive display. 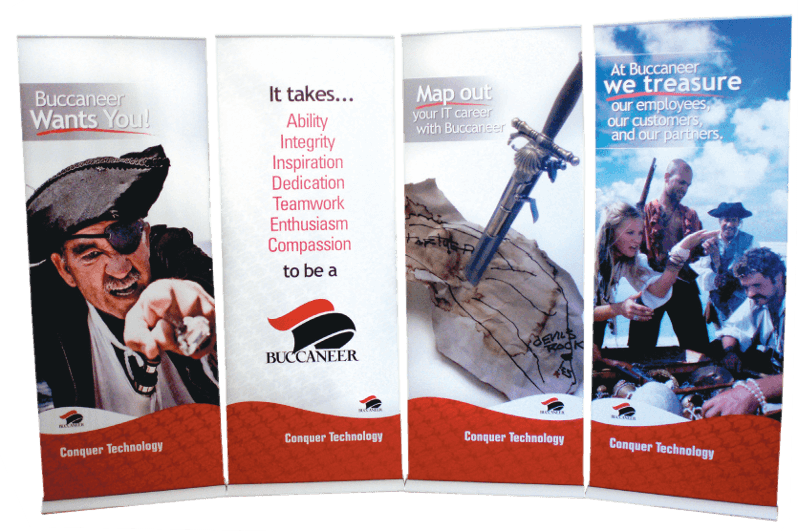 The banners are held tight in rails or with grommets for use at trade shows, in-store, or at events. We stock several different banner stands so delivery is as fast as one day! Most banner stands or support systems come with their own carrying case and are reusable. Retractable stands are great for travel and extended periods of time.